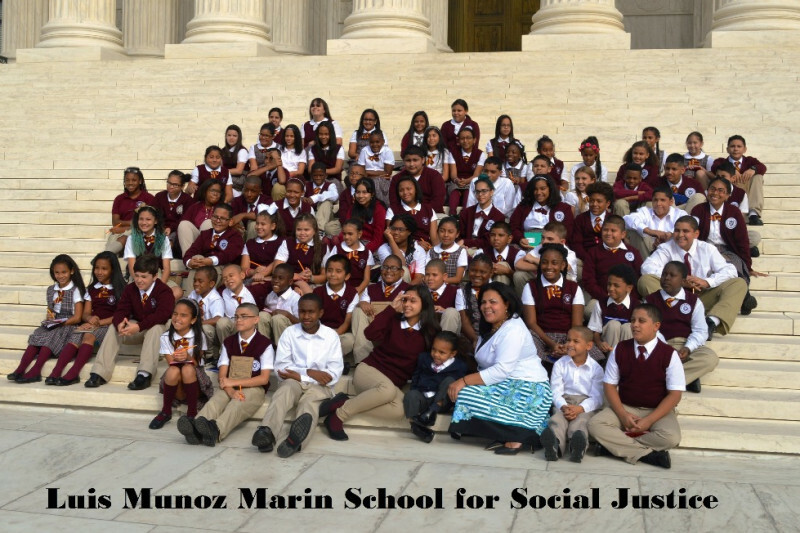 The Luis Munoz Marin School for Social Justice is committed to changing the lives and mindset of the students it teaches. Our Social Justice program conveys a clear message of inclusiveness and acceptance of all people. We have incorporated units of study that informs students of social issues affecting people both locally and globally . The themes embrace the ideas of unity, forgiveness, tolerance and nonviolence in order to form a more peaceful world. Part of our Social Justice Program includes taking all of the students on a field trip that embodies the theme being learned at their grade level. In the past, students have visited the Supreme Court to see where important decisions were decided. They have visited museums and other historical locations where they can see first hand the places they have been listening to and reading about. Our school is asking for your support with our Social Justice initiatives. Your support is key to our changes. Consider making a contribution to our school. Thank you in advance for your support. Your donations will be used to continue our Social Justice program.